After watching the first season of the show that’s based on the novels, I was very excited to get reading author Cass Morgan’s The 100. I’ll admit, I’m a bit biased already just by having watched the show. I was excited to find out what kind of original story would bring a show like the CW’s The 100 to life and had pretty high expectations. I was very pleased to find myself having been quickly immersed in The 100 and I absolutely couldn’t put the book down. Dystopia with a bit of sci-fi and romance and the drama that comes with the fight to survive? Sign me up! 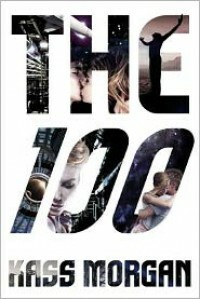 Told from the alternating points of view of the novel’s protagonists Clarke, Wells, Glass, and Bellamy—The 100 is the story of a group of one hundred teens who have been born on the Ark; the only place inhabited by mankind after a nuclear war wiped Earth out. After centuries spent in space, one hundred teenage criminals who have been kept detained on the Ark have been sent down on to Earth to see if the planet is inhabitable again. Clarke is the daughter to a pair of scientists on the Ark who were executed for crimes against humanity. Wells is the Chancellor’s son who gave up his life on the Ark in order to save the girl he loves most—Clarke. Glass was supposed to be sent to Earth alongside the rest of the hundred but after narrowly escaping the ships, she becomes the novel’s sole storyteller whose life revolves around a life on the Ark. Lastly, we have Bellamy who has committed the ultimate act of treason to save and protect his young sister, Octavia, at any means necessary. It wasn’t difficult to fall in love with Cass Morgan’s writing style and storyline. 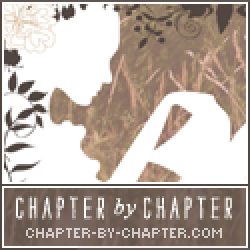 Every chapter is fast-paced and intriguing. I actually found the way that the story was told to be very unique in that each chapter (for the most part) has a flashback in italics that gives us all more insight into who our protagonists were before they came to Earth. There is so much mystery shrouding Clarke, Wells, Glass, and Bellamy when readers first open the novel but as the storyline progresses the exposition that’s been set in place begins to get expanded on. Morgan’s prose is unique and beautiful, leaving it easy for readers to get swept up in her plot and the world she’s built. As someone who enjoyed the show, I was incredibly eager to get to see more of Bellamy. I absolutely loved his portrayal on the series (and shout out to Bob Morley for being so hot *finger guns*) and was ecstatic to get to read whole chapters from his point of view. Also, as someone who enjoyed the show and as someone whose one true pairing (OTP) is Clarke/Bellamy, it was nice seeing their interactions in the novel fitting my ideal standards. Long story short: if you’re a viewer of the show who ships the above OTP, pick up the book. Seriously. You’ll have no regrets. As easy as it was to get swept up in Morgan’s The 100, I was surprised to find the novel having ended so soon. It felt like just as things were beginning to finally pick up in the novel a dramatic moment took place and the book was concluded on a cliff-hanger. While I’m lucky enough to have the novel’s sequel on hand and at the ready, I can understand how an ending like that could become frustrating to readers who aren’t nearly so fortunate. Mostly, it felt like a lot of The 100 was the first half of a novel that got cut off short for unspecified reasons (the need to make a sequel?) and I personally am not too sure how I feel about that. Regardless, there’s no denying that The 100 is an amazing novel. Like, seriously amazing. It isn’t often that I can be left wide awake in the middle of the night thinking about a story as wonderful as this and I’m very glad that I decided to pick it up. Readers who are big fans of sci-fi and dystopia should definitely get reading The 100. Readers who want a novel that is surprisingly filled with action and loads of romance should also give it a go. And if you’ve watched the show but haven’t read the books, you’d better start flipping pages. The 100 is easily a novel that one can get through in a single sitting.